South Vancouver Island has the highest species diversity in the province, yet protected lands are small and fragmented. Therefore private residents, representing over 80% of the landholders in this region, play an integral role in supporting habitat and wildlife. 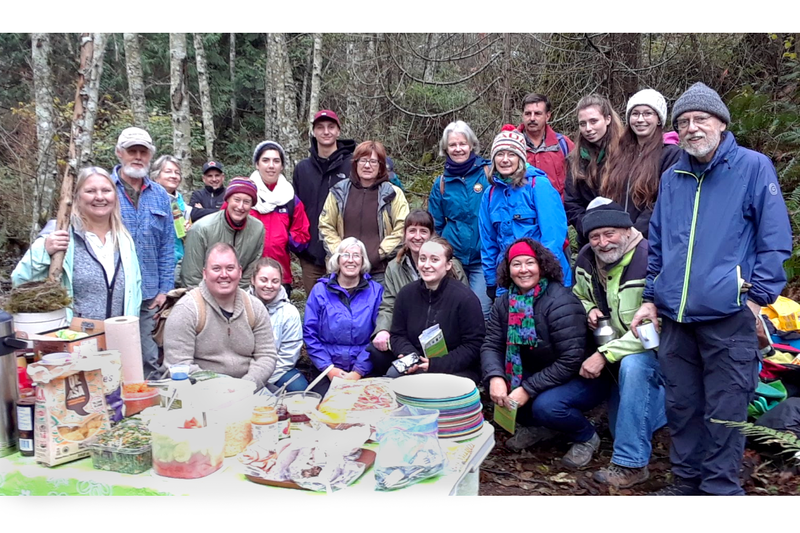 Habitat Acquisition Trust (HAT) has been engaging with residents through the HCTF-funded Wildwood Creek Wetland Stewardship Project to establish a network of skilled and knowledgeable Habitat Ambassadors. Engagement activities have included workshops like Creating Frog Friendly Spaces with Native Plants aimed toward landowners with creeks or wetland areas on their properties. The 5-hour workshop included plant identification of common riparian invasive plants, restoration techniques, wildlife identification, and the hands-on planting of over 100 native plants. Visit http://hat.bc.ca for information on future workshops and other events.